Bobby Gill (Pro Cup) – He’s another guy like Anderson. You rarely see him smile and he has no friends on the racetrack. He’s the “Mean Joe Green” (former Pittsburgh Steelers lineman) of the Pro Cup Series. Remember, Joe smiled at the kid who gave him a coke during that famous commercial in the late ‘70s early ‘80s (oh boy, now I’m dating myself). That’s Bobby Gill. the Mods scene. And don’t pick a fight with him either; you’ll regret it. The Turbush Brothers (Street Stock) –The Turbush boys, Rusty and Danny, from my hometrack of Riverhead Raceway, will kick you, spit on you and then talk about your mother while you are lying there with a broken back. Perfect, sign ‘em up. Mike Garvey (ASA) – He’s like a Mike Singletary (former Chicago Bears LB). Whatever series he races in, Garvey is a field general. Once he puts that helmet on he’s got those eyes that see everything that is happening on the field, there I go again, I mean racetrack. Now if you remember Singletary, does that description not fit him to a tee or what? Wayne Anderson (Super Late Models) – Defensive linemen are in the trenches. They are mean and nasty. They love to put a hurtin on the quarterback. Ok, now let’s look in our short track thesaurus and find a comparable driver. Yup, Wayne Anderson. He’s always looking for a battle and we all know he never backs down to anyone. He torments his competition, yet he’s savvy and quick enough to just fly by them if he wants to. Anderson is a no-brainer on the All-Dillner Team. Freddie Query (Super Late Models) – Grizzly veteran who is tough as nails in Super Late Model competition. He fits the Teddy Bruschi-mold (New England Patriots). He’s not flash, but does what he needs to get the job done. In the last two years, he’s won something like 15 out of 20-races in the Big-10 Series at Concord Motorsport Park in NC. Jason Hogan (NASCAR Southeast) – You want someone who is bad to the bone as one of your top defensive backs. Jason Hogan fits that mold. He’s got the talent and he can talk the talk too. He’s kinds like a Deon Sanders in his own realm. He’ll pick off a few wins this year on NASCAR’s Southeast circuit and he’s a definite threat for the title. It may be the last time he’s part of the All-Dillner team because he should be stepping up to the big leagues soon. Danny O’Quinn (Pro Cup) – Big boy in the Pro Cup Series. Right now he’s one of those college type players that everybody is paying attention to. He got a chance to be drafted in the Roush “Race for the Ride” program but just missed out. Don’t worry Danny-boy, there’s a second-round in the draft and after all, being a number-one selection doesn’t always guarantee success. Scott Bloomquist (WoO DLM Series) – A legend in Dirt Late Models. He’s got the skull and crossbones on his car, good enough for me. And from what I’m told, he’s now the most pleasant person in the world to talk to at the track. That means he’s focused. Gotta love it baby! Jeff Jefferson (NASCAR Northwest) – Two-straight titles in NASCAR’s Northwest Series; how could you leave him out? He’s got the build of a defensive lineman, plus he’s fast and agile. I wouldn’t want to mess with last year’s Northwest Series champ; he could move you in a second, both on and off the track. Charlie Menard (Super Late Models) – Intimidation factor? Zero. I mean, he certainly ain’t going to scare anybody with his physical presence nor is he going to trash talk anyone, but he will put in the effort it takes to be a winner. Nobody (other than his crew) walked into SpeedFest in Lakeland, FL with the attitude that Charlie was going to win the deal. Well, look who walked out of the weekend with the big hardware. Kevin Cywinski (ASA) - DB's also need to be patient and not commit the penalty, Kevin Cywinski rarely makes a mistake and that led him to another ASA title this year. Without a series to officially race in this year Kevin is still a free-agent of sorts. He’s got a great team in Country Joe Racing, but with no place to race just yet. Clay Rogers (Pro Cup) – The Champ is a solid player who balances consistency with the need to attack when it is appropriate. Check out Rodney Harrison of the New England Patriots in this year’s Super Bowl and you’ll find out the determined style of play Clay Rogers brings to the track each week. Billy Venturini (ARCA) - Now here's a guy who has a mouth. He's a talented racecar driver who certainly tells you like he sees it and we like that. He's young and fast no matter where he goes in ARCA Town. We still want to see him score a touchdown though. He's still winless in ARCA. Frank Kimmel (ARCA) - Why? Because he rarely misses. He’s now second on the all-time winner list in ARCA Town (second to Iggy Katona), he’s won six titles (tying him for tops on that list with the same dude) and he’s led the most laps and won the most races in ARCA speedway competition. Need we say more? Charlie Menard may not have an intimidating presense...but he is one of the most calculating racers on the team. Chuck Barnes Jr (CRA Super Series) – We know, kickers don’t often get injured, but we want two on our squad because they can be streaky. Barnes is a lanky fellow who is proving his worth in the CRA Super Series, where he was the champ last year. And he also won the All American 400, which puts him alongside of some of the greatest names in short track racing. 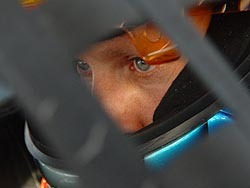 Matt Kobyluck (Busch North) – For his punt of Austin Cameron during NASCAR’s All Star Showdown in Irwindale, CA in November. Kyle Krisiloff (ASA) – For several boots during the later half of last year’s ASA season. Tony Stewart – The guy can come in and rock the short track house at any time in any class. Chuck Barnes Jr. is clutch, like an Adam Viniteri. The Partiots kicker has won the Superbowl and Barnes the All American 400...not too shabby! Ken Schrader – Gotta love a guy who still comes to do some short trackin’ just for fun. Darrell Basham & Mike Buckley (ARCA) – They are the epitome of a real racers; no money and just doin’ it for fun! 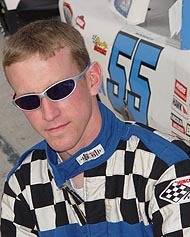 Kevin Crowley (Mods) – When he joined up with Donny Lia in 2004, the duo spent the second half of the season running away with poles and leading laps. If you asked the driver why, he praised the crew chief. If you asked the crew chief, he praised his driver. A perfect example of short track chemistry. Patrick Donahue (ARCA) – He’s the perfect guy to hop in and coach on short notice. 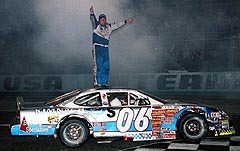 As a consultant, he coached Joey Miller to victory lane in Miller’s first ARCA start. He also lent a hand to Travis Kittleson for his Busch Series debut. Problem is, now he’s Robbie Gordon’s crew chief in Nextel Cup. 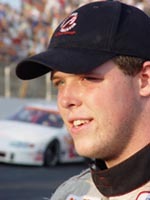 Richie Wauters (SLM) – This “cheesehead” knows how to build a fast car and develop young drivers. He brought JR Norris his first victory in NASCAR’s Southeast Series and led Steven Wallace to his Snowball Derby triumph. He also has the premier short track rental program in the nation. And he helped Shane Hmiel become a winner on the NASCAR Craftsman Truck Series as the crew chief of Billy Ballew’s #15 Truck. Joe Miller (ASA, Cywinski’s Team Owner) – For the second straight year, “Big Joe” gets this honor. He keeps his team going in the right direction, both financially and mentally. now for short track racing and NASCAR has plenty of benefits. RJ Scott/Glen Luckett/Ben Atkinson (CRA Super Series and Southern All Star Series) – For being at the forefront of helping reunite the Super Late Model world with the ABC body. Tim Bryant (Five Flags Speedway) – For revitalizing the Snowball Derby, especially after the hurricane damage in Pensacola, FL, we owe him a big thanks. 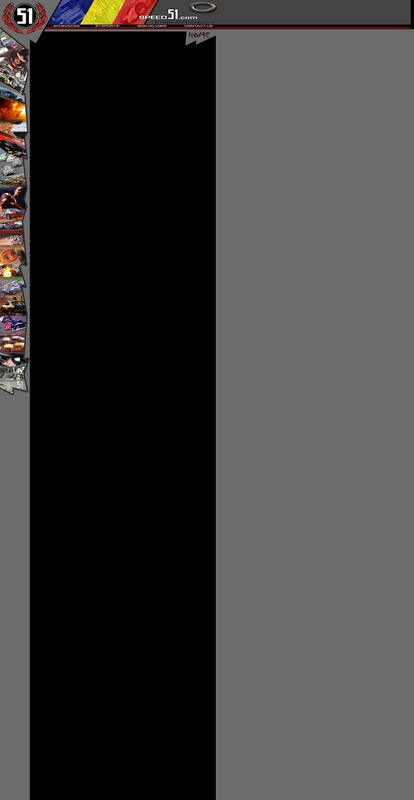 Tim Southers (USAR Pro Cup) – As always, he does a phenomenal job with the PR for the Pro Cup Series and a damn nice guy to boot! Dean Strom (NASCAR MWS) – Here’s a dedicated guy to his craft; one of the best PR people in the biz. NASCAR is lucky to have him. 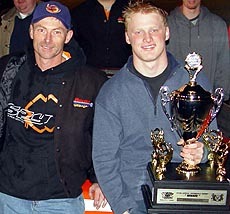 Richie Wauters (left) guinded Steve Wallace to teh Snowball Derby victory last year.